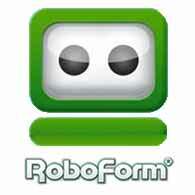 RoboForm for Other Browsers is password manager for many compatible web browsers. AOL browser: only the Lower RoboForm Toolbar is available. (RoboForm supports AOL 9.7 and less). MSN browser: only the Lower RoboForm Toolbar is available. Maxthon: versions 1 and 2. If you need more information please contact the developers of RoboForm for Other Browsers (Siber Systems, Inc.), or check out their product website.